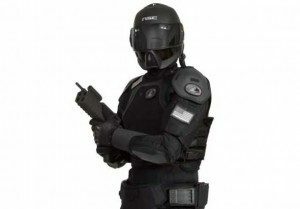 The Defense Advanced Research Projects Agency (DARPA) has a $2 billion yearly budget for research into creating a super solider as well as developing a synthetic police force. Working with the human genome, DARPA hopes to manipulate certain gene expressions. In experimentation, DARPA and the military industrial pharmaceutical complex are using natural abilities that are enhanced through genetic engineering. 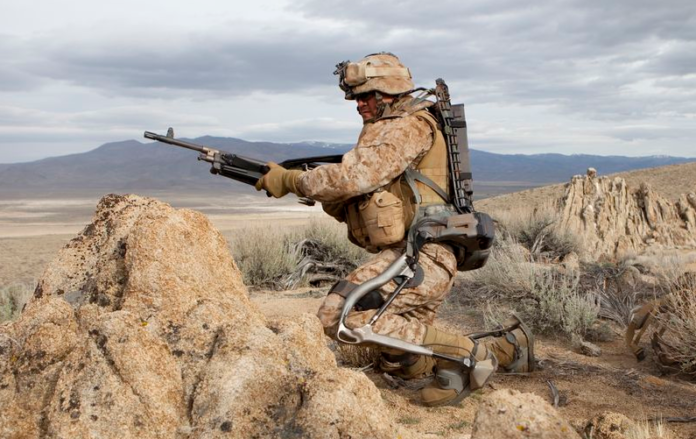 Some of the medical feats DARPA would like to enhance are the ability of military soldiers to regrow limbs destroyed in battle. Scientists are researching the construction of soldiers that feel no pain, terror and do not suffer from fatigue as tests on the wiring of the human brain are furthered by Jonathan Moreno, professor of bioethics at Pennsylvania State University. Moreno is working with the DoD in understanding neuroscience. The Pentagon allocated $400 million to this research. Further study could be passed onto the general public in order to maximize profits as well as enhance the drug’s effectiveness. According to Joel Garreau, professor at Arizona University, DARPA is learning how to genetically modify human fat into pure energy by rewiring the metabolic switch which would create soldiers that require less food. By using gene therapy and combining enhancements to alter the color of the human eye is a blending of mutations that have no basis in the natural world. In 2011, the British Academy of Medical Sciences published a paper explaining the necessity for “new rules to avoid ethical missteps.” Specifying the injection of human brain cells into animals that may give animals human memories or thought consciousness as the goal should be dealt with differently than a non-modified animal. 1. They could target the hypothetical scientists creating monsters in Petri dishes. 2. They could take a close look at the science that’s really happening in labs around the world. The Project for the New American Century (PNAC) published a document entitled Rebuilding America’s Defenses in 2000 which frameworks a strategy for American hegemony in the near future, identifying “problem areas” of the world and advising regime change of unfavorable governments so that in the end the nations of the world will be unified under the banner of American democracy. The revelation of former US President George Bush’s “axis of evil” defined American policy under the guidelines of the PNAC with the identification of Iran, Iraq and North Korea which is literally mentioned in the PNAC as governments that require a regime change. In the PNAC, the globalists have described the use of scientific enhancement and clinical trials turning the US armed forces into guinea pigs for the advancement of a super soldier. Allan Snyder, professor of neuroscience in Australia, has been working to understand how transcranial magnetic stimulation (TMS) can affect higher mental processing with the use of magnetic fields to promote unfettered reasoning. The US Academy of Sciences reported in 2009 that they expected to be successful in using TMS against soldiers to “enhance [their] fighting capabilities.” Moreno reveals that TMS helmets could be used in battlefields to expand a soldier’s technical expertise and become a more proficient marksman and master electronics used in training exercises.